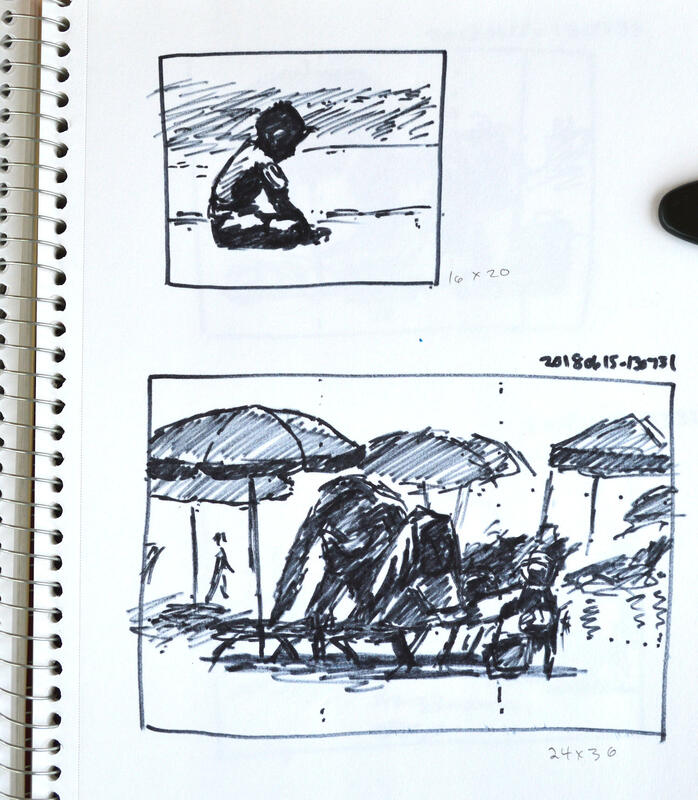 I recently posted a step-by-step outline of my painting A Day at the Beach (4-10-2019). A critical part of creating a significant panting is the preliminary work. I sincerely believe that the more thought I put into the piece at the beginning, the more I can work out the problems ahead of time, and the better the final result will be. Well, that’s my theory anyway. 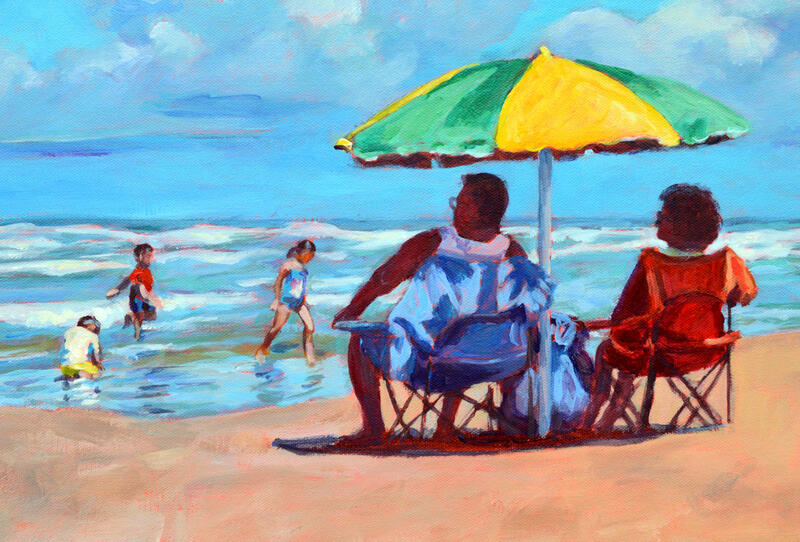 This is another painting in my series Intimate Spaces, all about the territory that people carve out when they visit the beach. 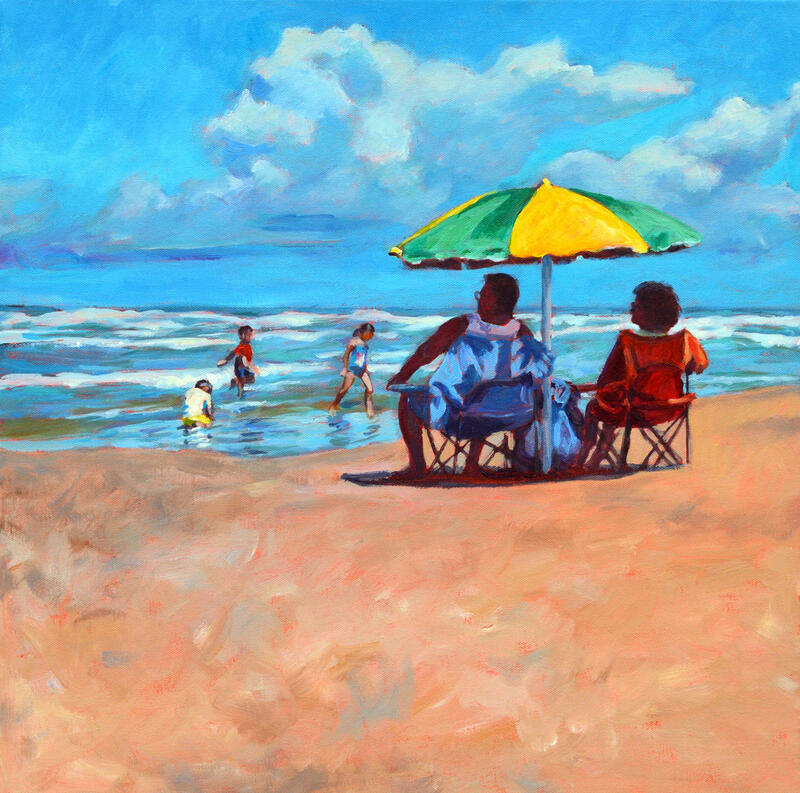 In this painting, I was sitting behind a couple who staked out their space early in the day with two chairs and an umbrella. 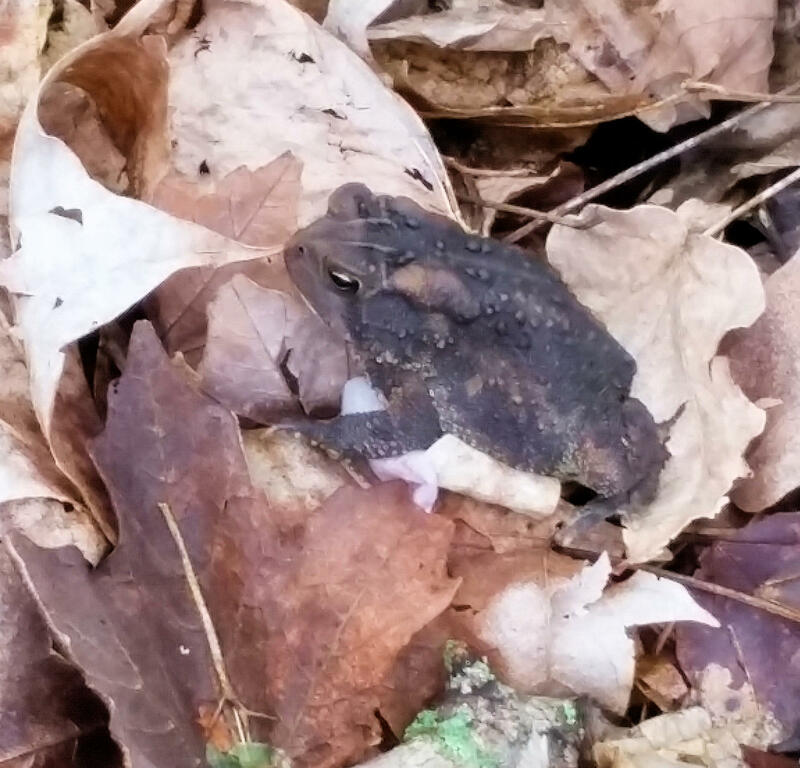 They didn’t show up until mid-afternoon. NOTAN sketches for Green and Yellow. This is where I work out basic shapes and composition. As you can see, initially I intended this to be a rectangle shape but then changed it to a square shape. I liked the near silhouette of the couple with the contrast of the kids playing in the surf in front of them. Maybe they were grandma and grandpa. I don’t know and never did figure it out. Large graphite sketch of the main characters for Green and Yellow. As with most of my paintings, I begin with a NOTAN sketch, just hard contrast of black and white to get a feel for the composition. 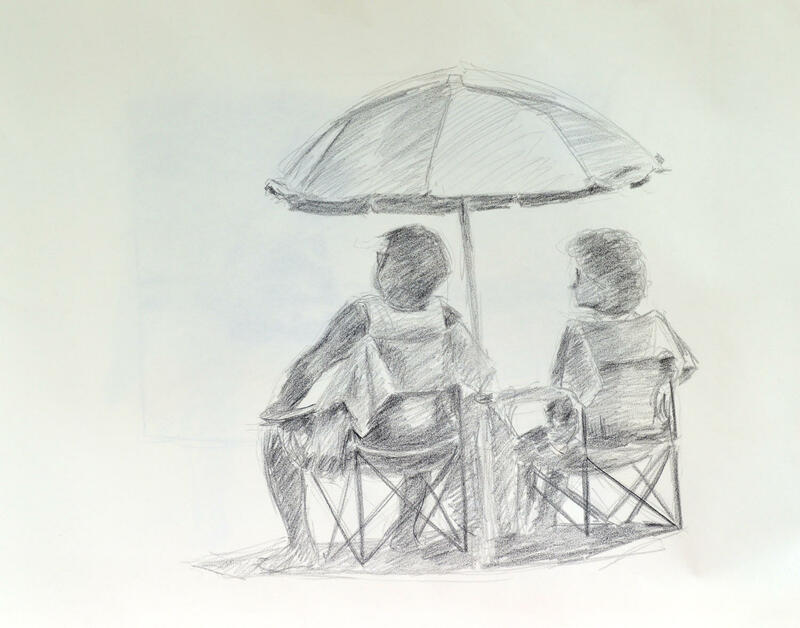 Then I did a large graphite sketch of the couple. I didn’t feel a need to sketch the kids as they’re just notes really. They were painted directly. 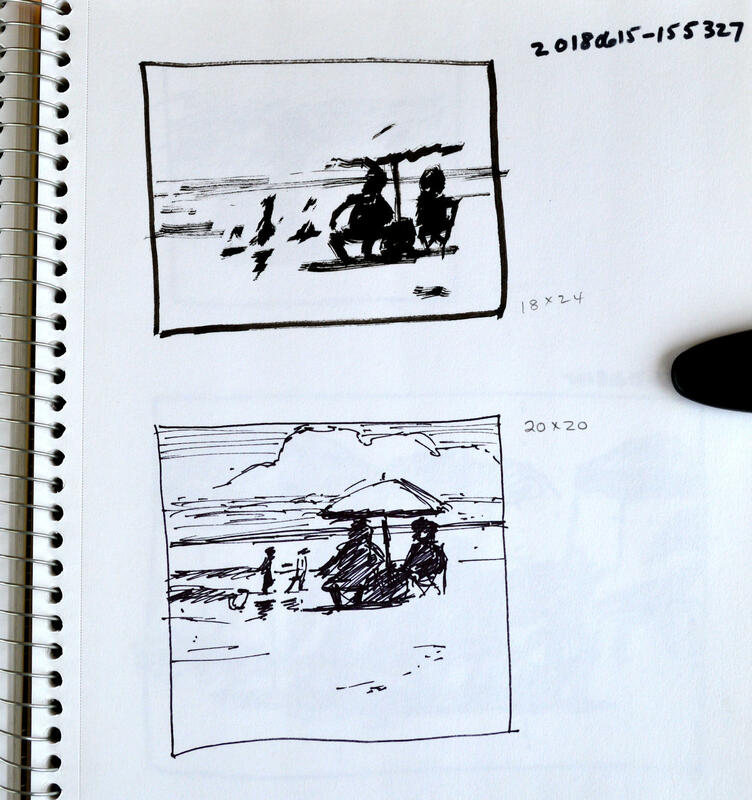 NOTAN sketches of past couple of paintings. Working in black and white allows me to focus on the shapes and composition. 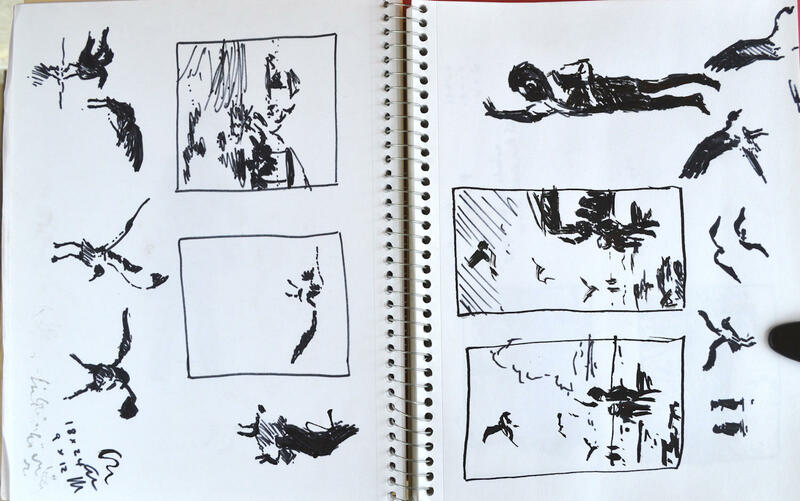 Here are a few more examples of NOTAN sketches. You’ll notice the one from my last post of A Day at the Beach and how I was focusing on the interlocking umbrella shapes. More NOTAN sketches from Jump. And the two pages of NOTAN of Jump which I created in February. With some of the bigger pieces, I’ll also do a color sketch but not always. The final conclusion is that no matter what style of art you create, you will often have better results if you put in more thought and work into the beginning of your work than having to correct problems later. Indeed, sometimes you may discover that the scene or piece doesn’t merit following through. Or you may decide to attack it from a different direction. OK, I will admit it. I’ve been goofing off this week. Well, not really but kind of. The weather has finally turned gorgeous. 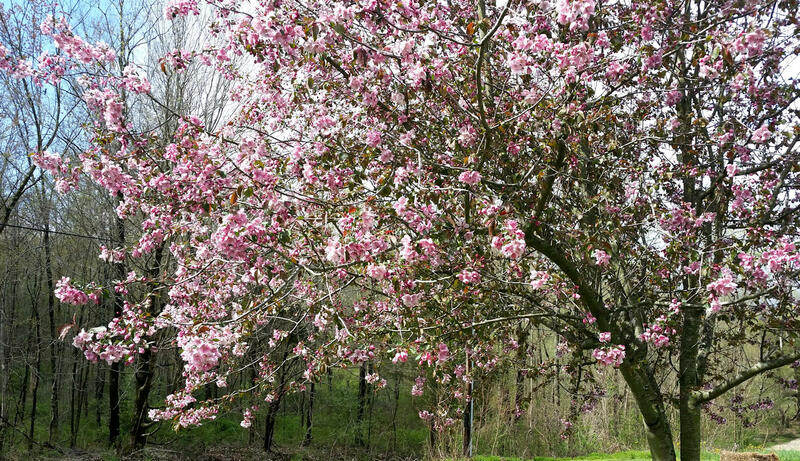 Spring is here in force. 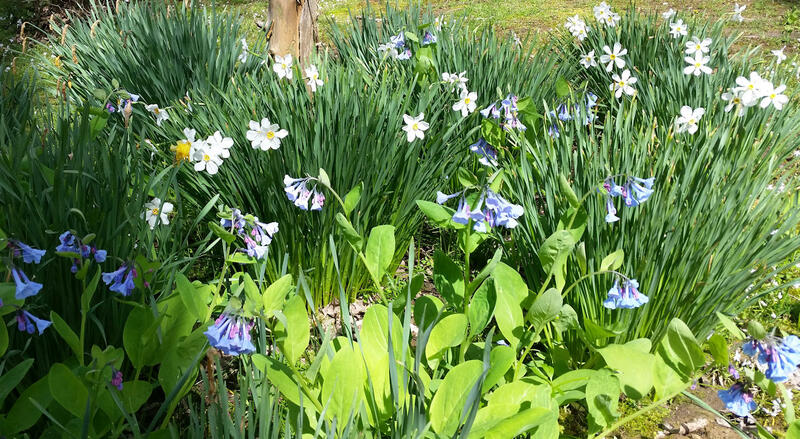 Flowers popping out all over. Just checked the fruit trees and they’re ready to put on a show real soon. I cruised Home Depot this week as I had some time between meetings in town. Of course, the garden center attracted me like a magnet. 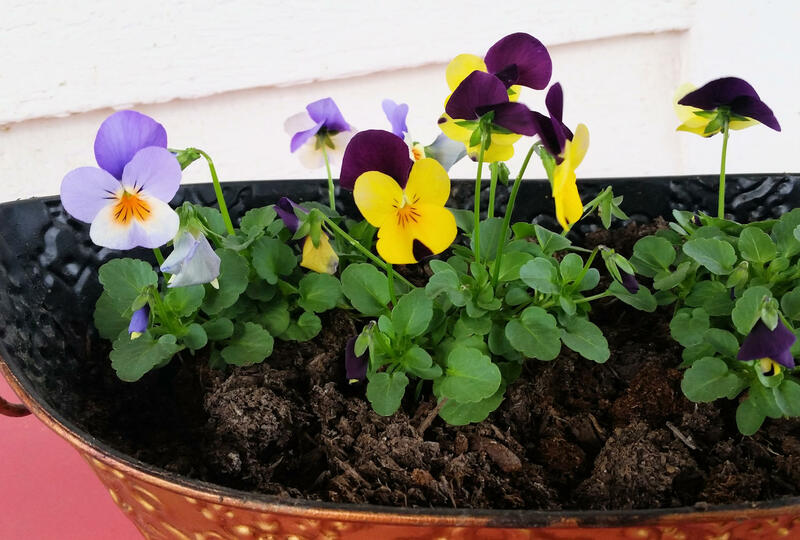 Which meant that I spent some time this morning planting pansies. They’re always so cheerful. What I’m trying to say is that I really don’t have a real post for you today. Yes, I’m working on a big project in the studio but am not ready to reveal it yet. What I am going to share are a few of my favorite quotes, all about art. Be forewarned; I love quotes and have collected hundreds over the years. They often provide me inspiration or at the very least, food for thought. I hope they’ll inspire you, too. 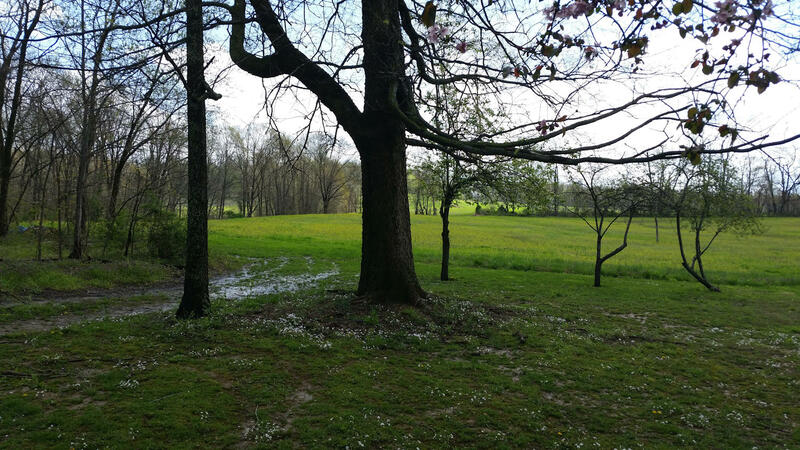 More than anything, plein air is an event. It’s an event where a sporting mind can sort things out–free of town-clutter and obligation, where judgment can take as long as it takes–look three times, think twice, paint once. Leave your strokes alone. Fix that colour. Level that horizon. Stop now, stupid, she’s on the hook, pull ‘er in, put ‘er in the creel. You will live to cast again. Once you fly, you will walk with your eyes skyward. For there you have been and there you will go again. Be careful that you do not write or paint anything that is not your own, that you don’t know in your own soul. All art is autobiographical. The pearl is the oyster’s autobiography. Thyen-Clark Cultural Center sign made with colored chalk and sand. Today was a big day for everyone in this area. 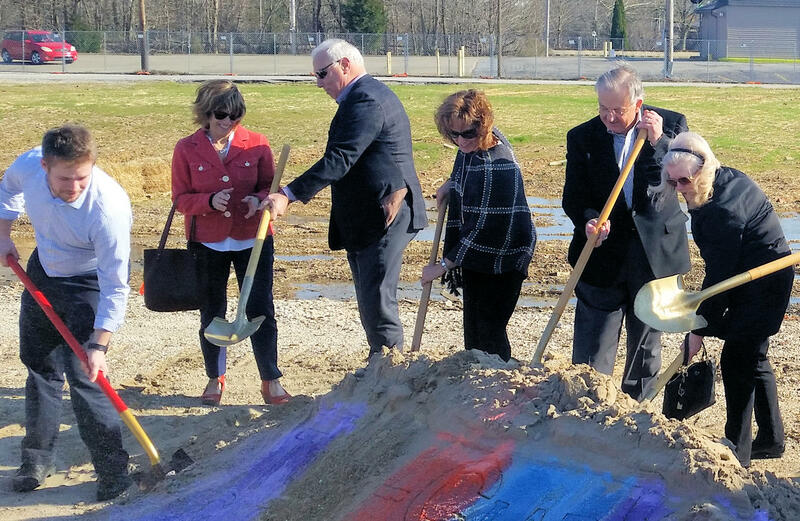 The official ground breaking for the Thyen-Clark Cultural Center was held this afternoon. This is a true partnership between Jasper Community Arts and Jasper Public Library. The new building will be on the site of a former factory in the downtown area near the River Walk and many other area attractions. 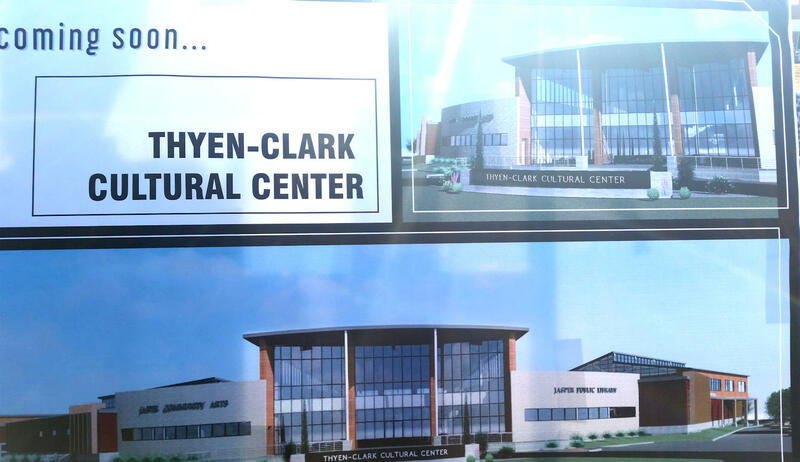 Thyen-Clark Cultural Center proposal. Will the doors really be ready to open by the end of 2020? Yeah! We are so excited. Both entities have been seeking expansion for many years, decades in fact. I first met with the Thyens in 2006 but it wasn’t until about four years ago that the library and Jasper Arts decided that a partnership would be a great idea. Some of the first shovels with our generous donors Jim and Pat Thyen at far right. The road has not been easy but everyone in the community seemed to get on board with fund raising, the referendum drive for the library, approval from all the political entities, funding from state organizations. 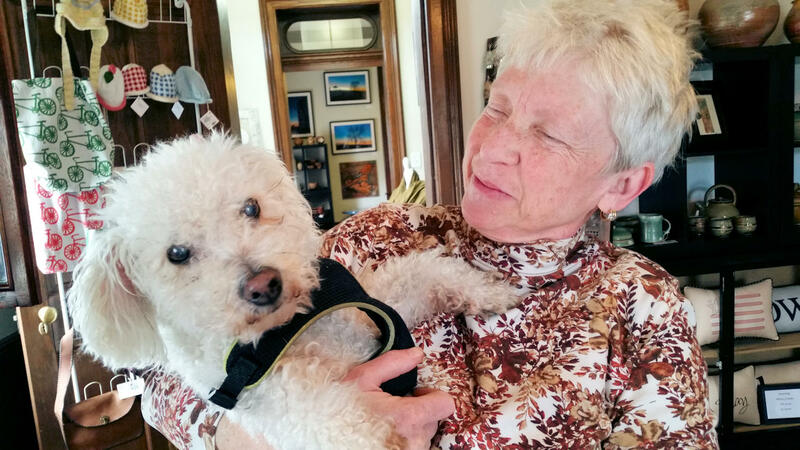 The turning point was the challenge grant pledged by Jim and Pat Thyen. From major companies to individuals, everyone in the area has pitched in to make this project happen. So this afternoon, we all gathered at the site for the ground breaking ceremony. 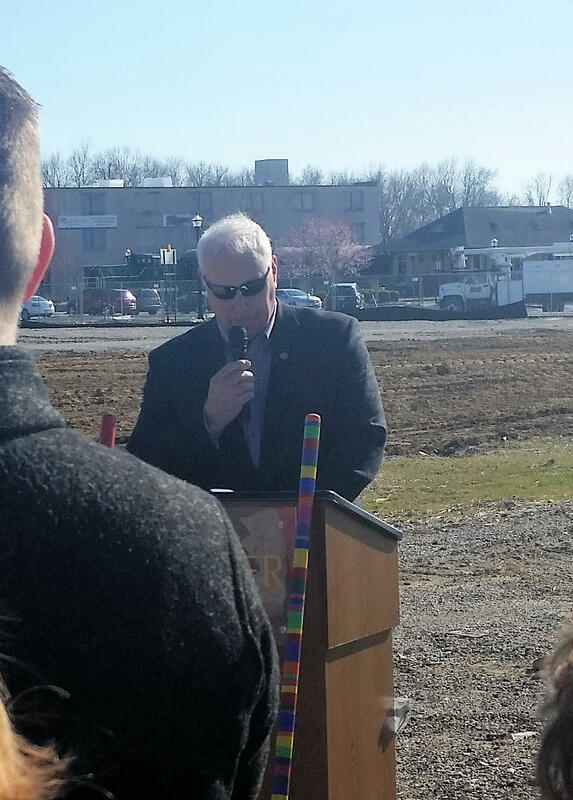 Speeches were given, children were invited to participate, all of the board members and staff and other supporters were given an opportunity to wield one of the golden shovels. The bulldozers take over tomorrow. I can hardly wait! Viva la arts! 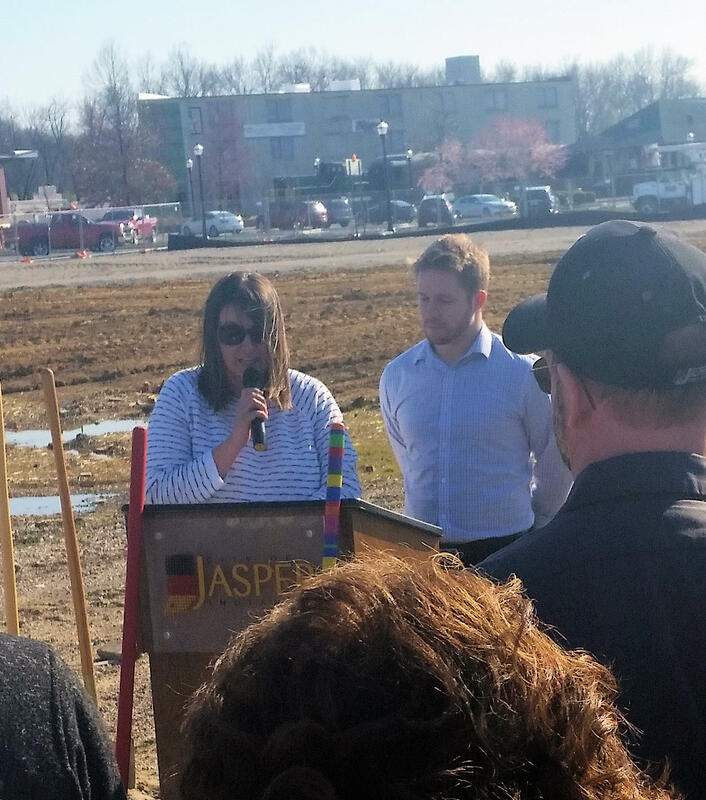 Library Director Christine Golden and Arts Director Kyle Rupert welcomed the crowd of about 100 people. Mayor Dean Vonderheide gave a brief speech. He has been involved in the Cultural Center project before he became mayor. We’re so fortunate to have his continued leadership. 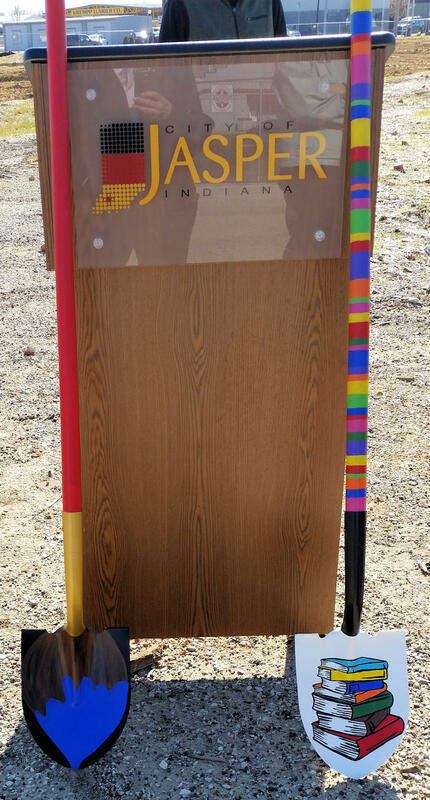 Visual Arts Coordinator Emily Colucci Peake decorated the honorary shovels, an artist’s brush and a stack of books. How clever! 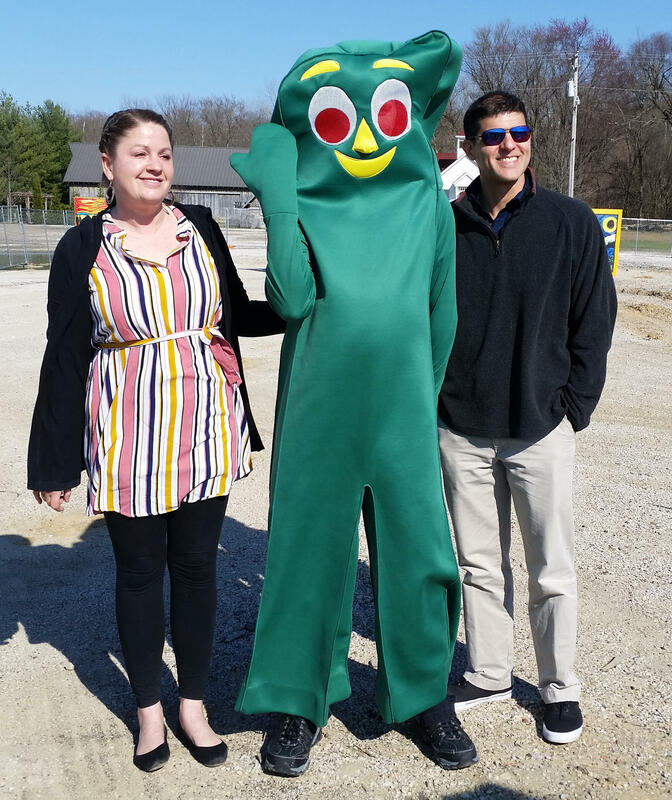 Gumby put in an appearance. Here he is posing with Corina and Juan Mack. Corina is special Project Coordinator for the arts. 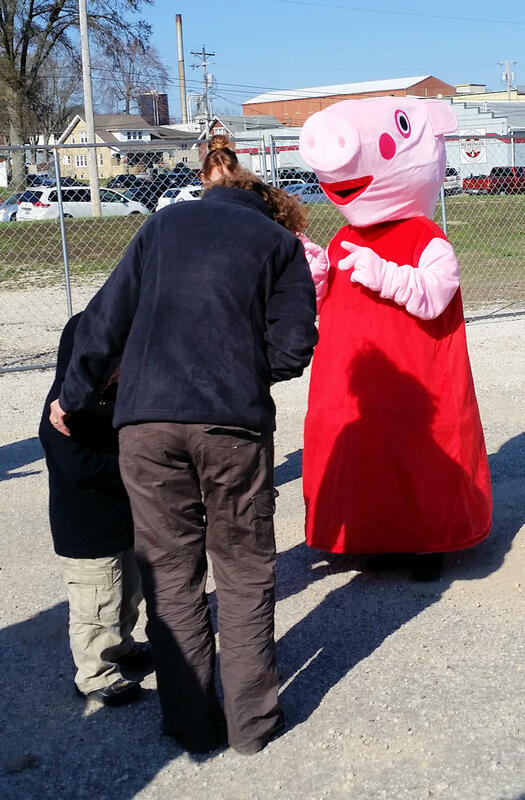 Peppa Pig also dropped in to entertain the kids and adults. 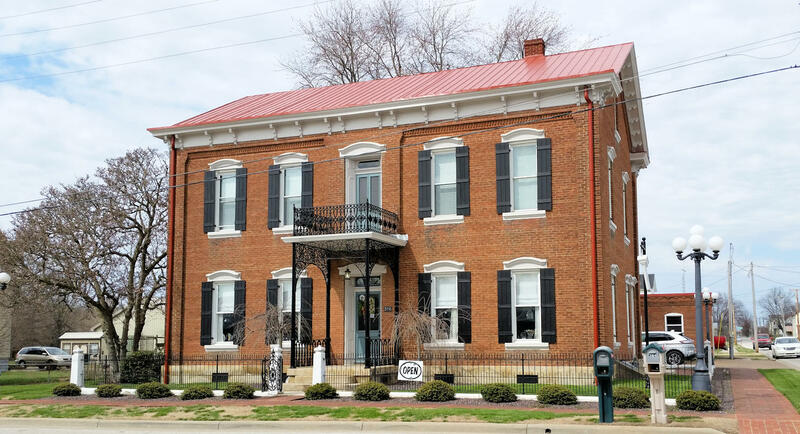 Traditional Arts Today gallery at 314 W 9th St, Ferdinand, IN. The brick building behind this restored historical building is the workshop space. I had the pleasure to visit a new gallery in the area this past week. 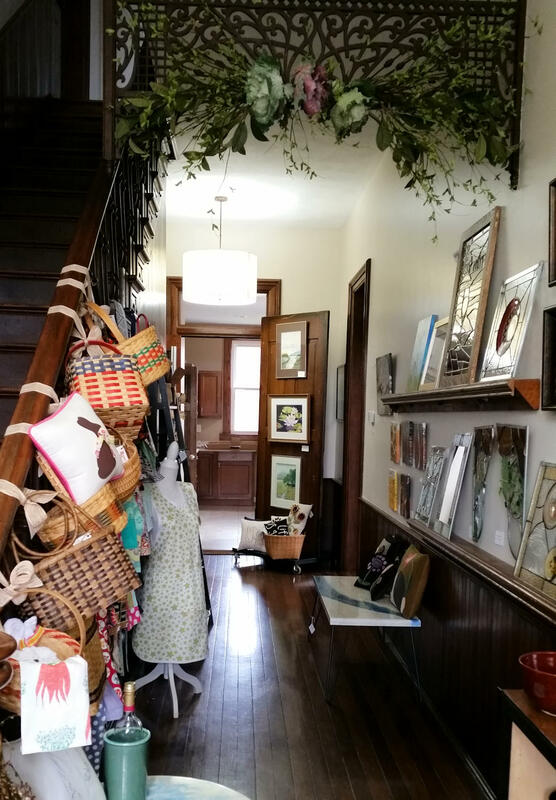 Traditional Arts Today at 314 W 9th Street, Ferdinand, Indiana, features the art and crafts of regional artists. 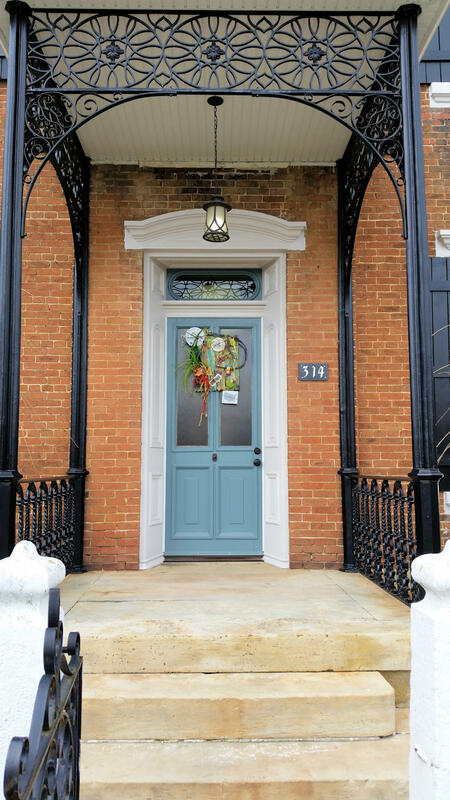 Housed in a beautifully restored historical home, TAT is just a block off Main Street in Ferdinand, Indiana. 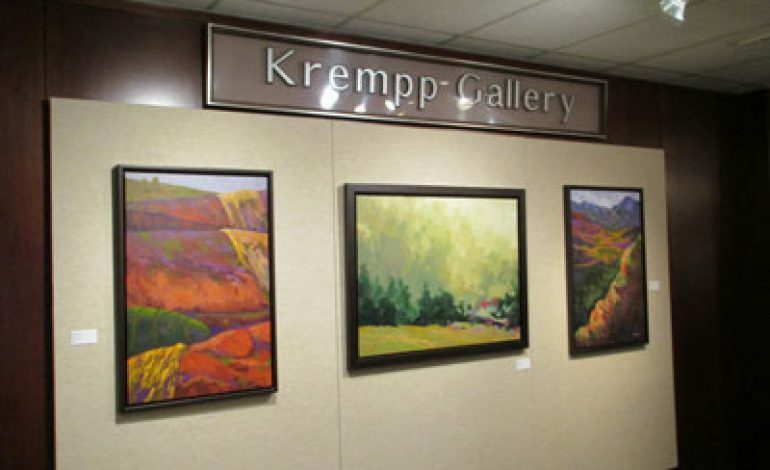 The gallery showcases a wide variety of creations by area artists, from painting and photography, weavings and soaps, to jewelry and pottery, and a whole lot more. This is a great place to browse and pick up something for yourself or someone special. 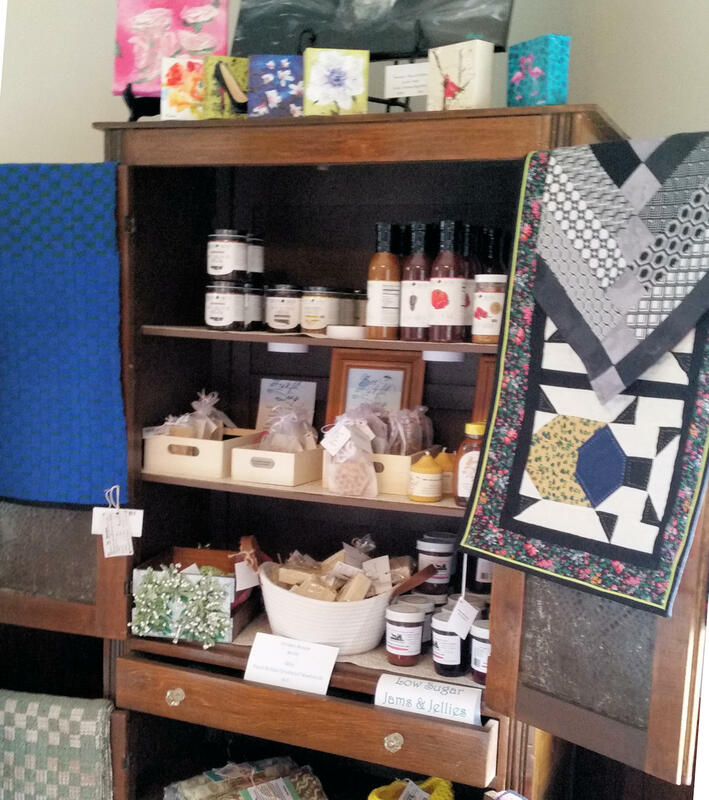 Many homemade products are featured, from soaps to edibles. Yum! The impressive entrance hall of the gallery. TAT also offer classes in their restored carriage house behind the building. All those looms you see in the photo will soon be moved there. This weekend they offered Ukrainian Easter Egg decorating classes. 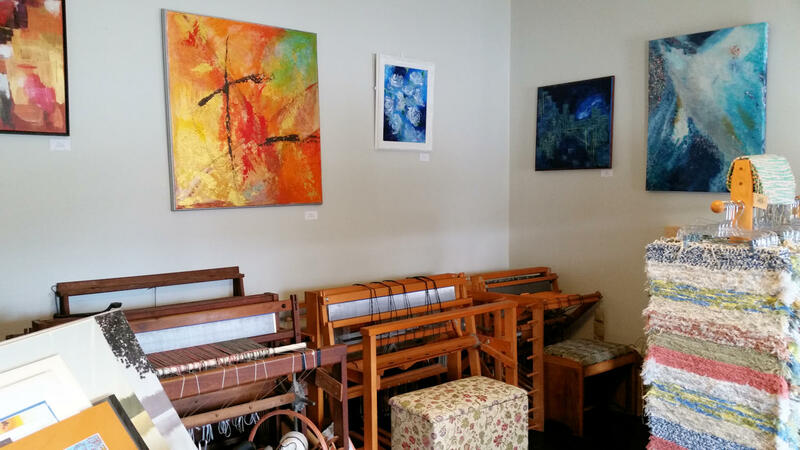 Some paintings of Louisville artists and hand-made weavings. All those looms will be moving to the workshop space soon. 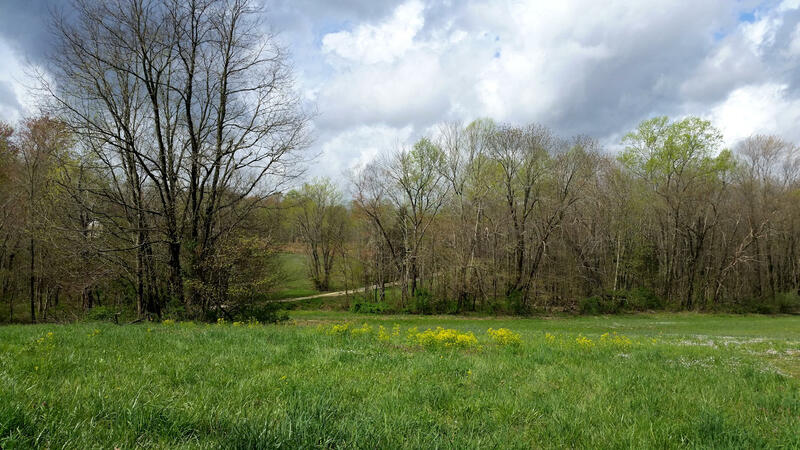 If you haven’t been to Ferdinand, it’s a great place for a day trip. Of course, you’ll see one of the main features of the village which is the monastery on top of the hill, a truly spectacular sight. Plus there are many other shops and small restaurants though out the town. Some pottery by Monte Young with local photographs and handmade pillows. Anyway, check out Traditional Arts Today gallery. Their Facebook page is Traditional Arts Today and they’re just getting their website up but that should be ready soon. It’s always heartening to hear of a new arts venue opening in the area. I love arts magazines. Looking at all those gorgeous photos of the artwork of other artists is so inspiring. I’ve learned so much over the years. But there is a downside to all the magazines, and that is that I never wanted to throw them away. I know, I know, they’re just meant to be temporary but most artists I know feel this way. We always think we’ll come back to them but we don’t. That still doesn’t change the allure these shiny missives of creativity. But I noticed something the last time I went to a bookstore. You know that I live in a really rural area so visiting a brick and mortar bookstore is a treat for me. I love the smell of new print, fondling volumes of wonderful possibilities, smelling the coffee and just hanging around with other book-lovers. But the last time I visited my favorite big name bookstore, I headed to the magazine rack at the end of my visit to peruse the latest offerings in art magazines and to snag a couple for home reading. After digging through the layers, looking behind the home decorating and wrestling mags, I couldn’t find some of my favorites. I thought that maybe it was the end of the month and the new editions hadn’t been put out yet. So I was dismayed to read one of my favorite blogs by artist James Gurney (Gurney Journey) yesterday and to learn that F & W Publications, Inc., the company that produces The Artists Magazine has filed for bankruptcy. What!?! This magazine has been a staple for artists across the country for decades. When I purchased a copy, I would read it from cover to cover. Even the ads in the back listed announcements of exhibits and other great information. Sigh. This will make my next visit to the bookstore a little dimmer. Yes, there are some other fine art magazines out there but they have a different mission and flavor than The Artists Magazine. Oh, and Writers Digest, Pastel Journal, Watercolor Artist, and Interweave Knits are going, too. Are you tired of winter and ready for something new? 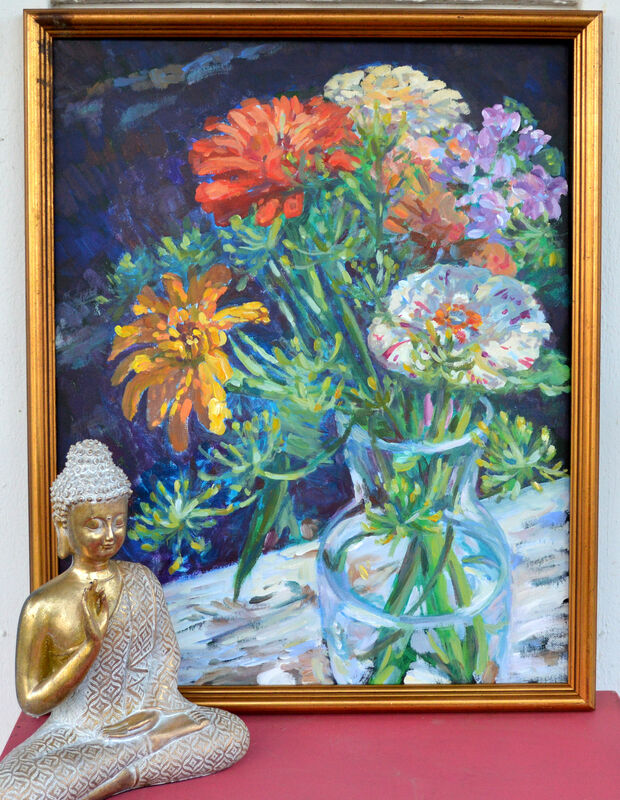 Try adding some fresh flower paintings to your home for a new look. 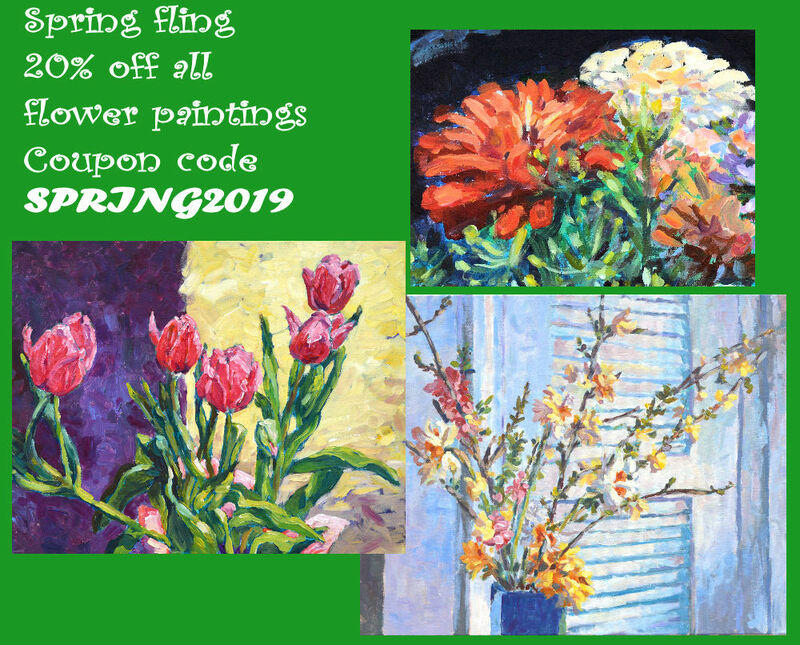 Both of my Etsy shops are having a sale of 20% off ALL flower paintings or even any painting with some flowers in it. No limit except for the time. Sale ends April 30th. Check out the links below. Etsy shop My90Acres click here! Spring sale. 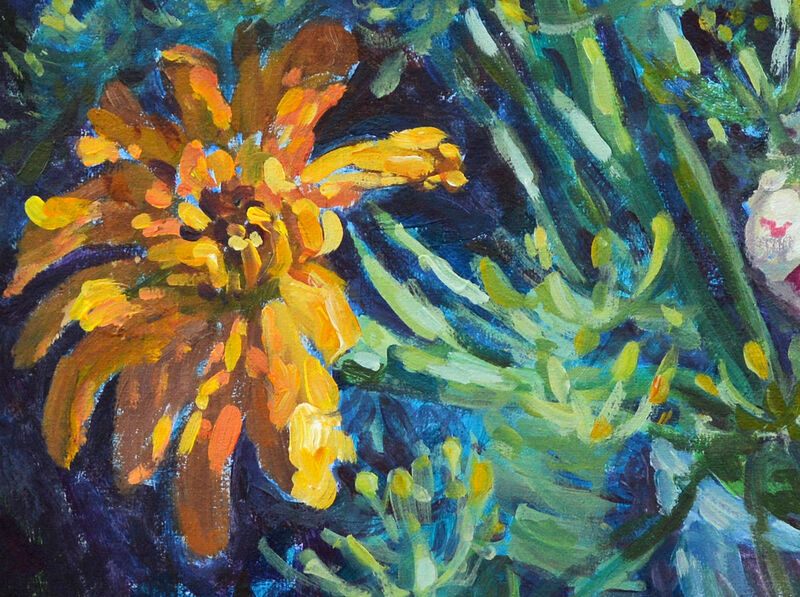 20% off all flower paintings or any painting with flowers in it. No limit. All in my Etsy shop KitMiracleArt. Spring ad for Etsy shop my90acres. 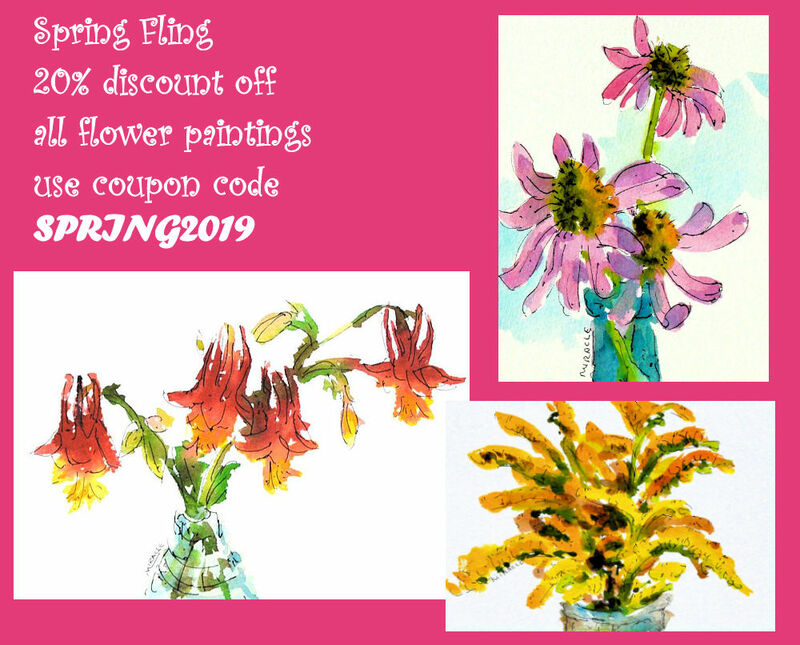 20% off all flower paintings. All original. No limit. 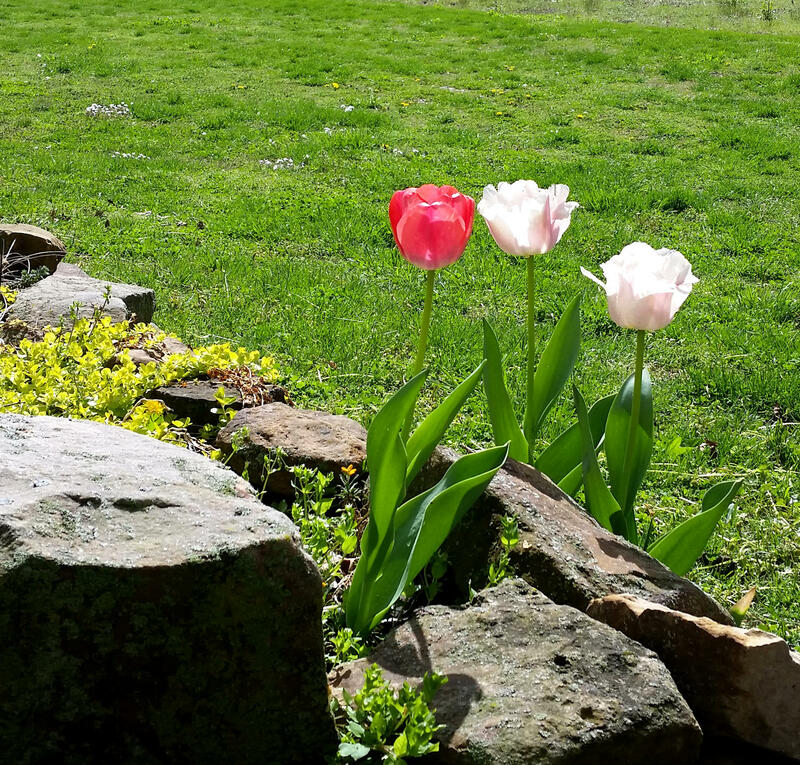 Spring is finally ready to pop here in Southern Indiana. The early daffodils and crocuses are out in force. 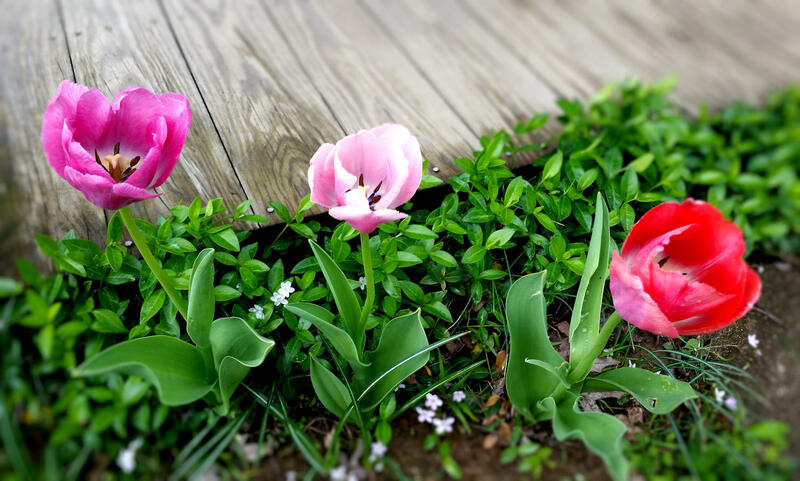 The tulips are up but not yet blooming. I’m not sure if the narcissus will make it after the deep freeze a week ago but the forsythias are ready to pop. Meanwhile I’m still in the mood to paint flowers which finds me scouring my old photos. 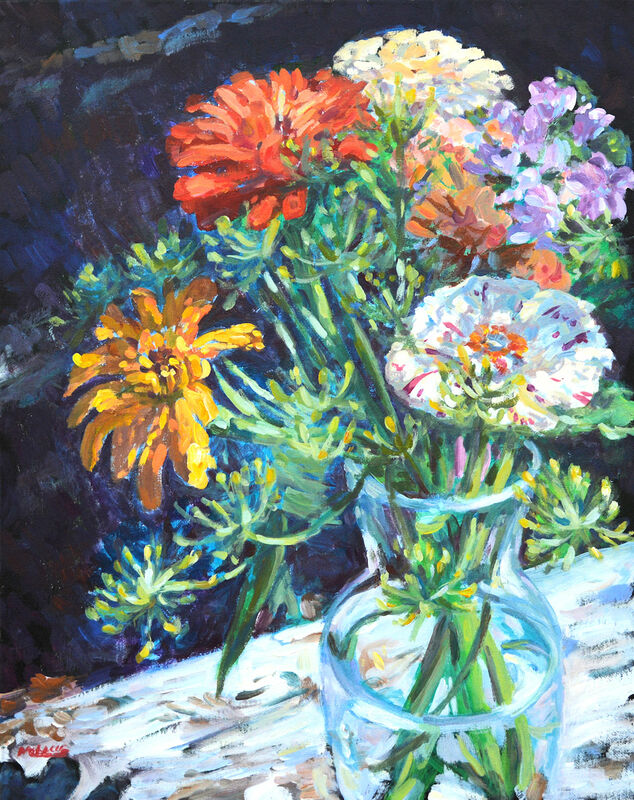 This painting was based on a small bouquet of mixed zinnias from my garden. I think the greens are sprigs of coriander with added bits of phlox and sweet peas. Painting flowers is much more challenging than most people realize. Some artists are so talented in painting every pistol and stamen but that is not my style. I prefer to capture the feel of the flower. This is called impressionism. As you can see if you view the detail photos, brush strokes are a mix of bold and soft. It takes some practice to achieve this effect but all I can advise is to keep at it. Or, wipe it off or paint over any less than desirable areas. 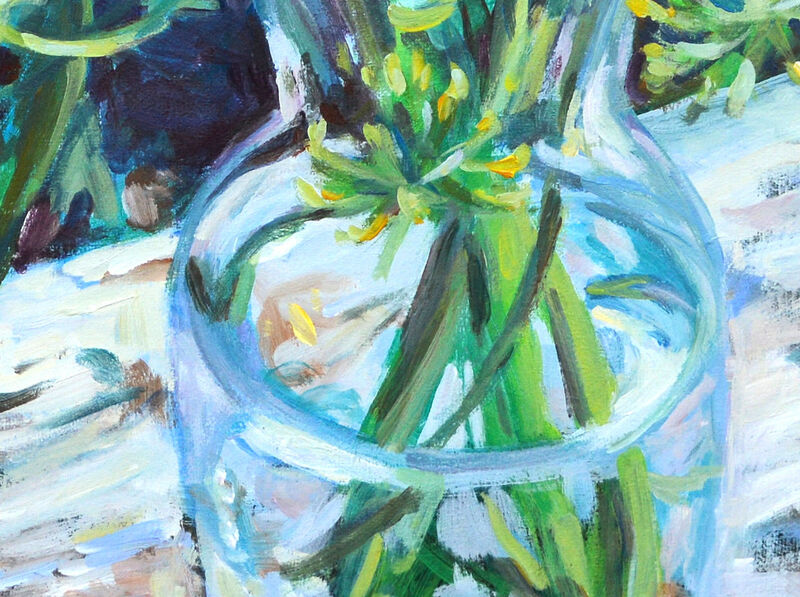 Mixed Bouquet, detail 1. 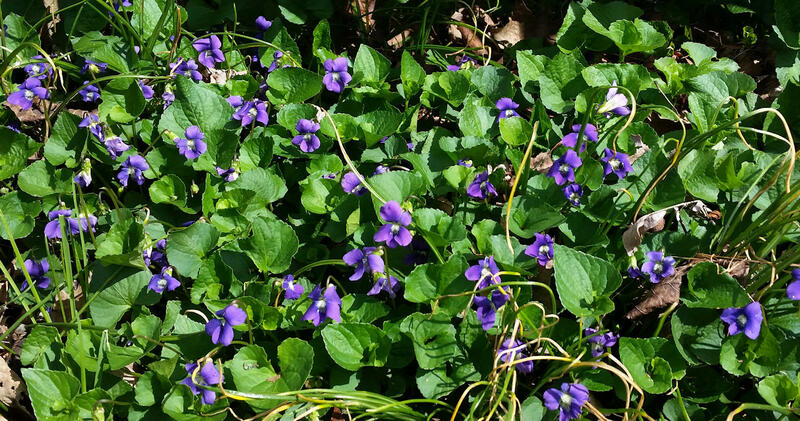 Another closeup of the flowers. Loosely painted in impressionistic style. 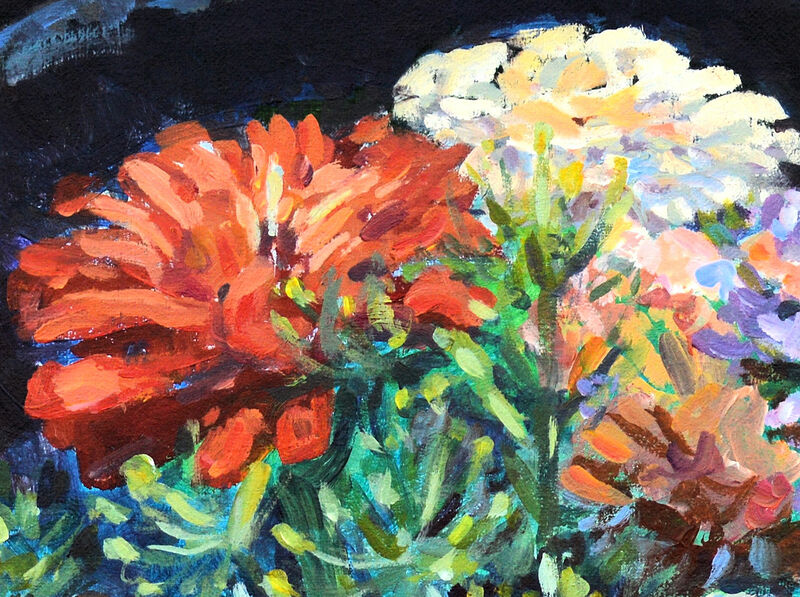 Mixed Bouquet, detail 2. Notice the loose strokes and variegated painting. This painting can be viewed on my Etsy shop here. When you take a flower into your hand and really look at it, it’s your world for the moment. I want to give that world to someone else. Most people in the city rush around so, they have no time to look at a flower. I want them to see it, whether they want to or not.